Detroit Tigers Veteran Pitcher Billy Chapel (Costner) has always been better at baseball than at love. Just ask Jane (Preston), his on-and-off girlfriend. After a bad season, just before he is about to start in what could be his final game, Jane tells Billy that she's leaving him...for good. Now with his career and love-life in balance, Billy battles against his emotional and physical limits as he strives for a Perfect Game. 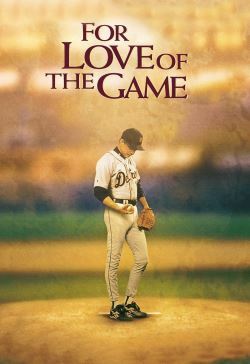 The suspense is never drawn back in this heartwarming drama about life, love, and risking it all For Love of the Game.